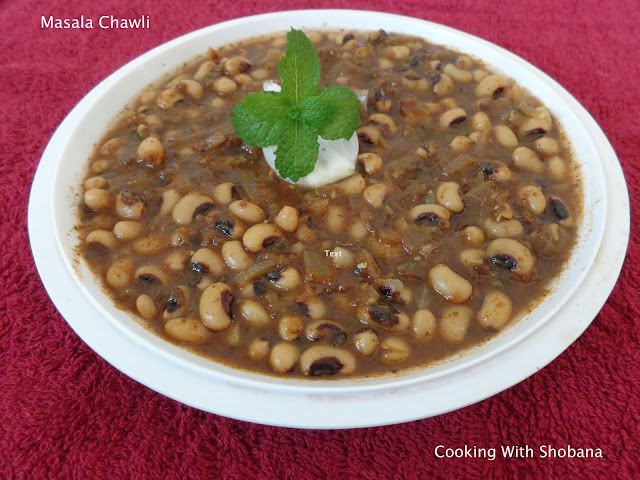 Chawli (also called lobia) is the Hindi name for cowpeas, commonly known as black-eyed beans. We call this bugdo in Konkani. These legumes are very tasty and nutritious. They are said to help diabetics as also lower cholesterol as per this article. I try to use chawli at least once in a while in our diet. Elsewhere in this blog you will find recipes for Lobia Rassedar which goes great with rotis, and for Lobia Suva Bhaji Subzi. Today's dish is adapted from Masala Chawli from the legendary Tarlaji Dalal. 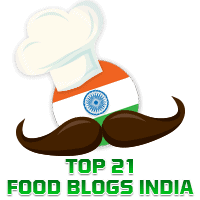 I tried it out and loved the special flavour provided by the mint leaves and dried fenugreek leaves. For best results it is essential that the cowpeas are soaked for at least 4-6 hours so that they become nice and soft. In a small mixer jar, make a paste of the mint leaves, ginger, green chillies and lemon juice adding very little water. Keep aside. In a pressure cooker add 1 cup of water to the soaked chawli and pressure cook for 2-3 whistles or till they are coooked. Once the cooker cools, remove the cooked chawli and keep aside. Retain the water in which they were cooked.